Sun exposure, stress, smoking, weight loss, or the passing of time can diminish your skin’s volume, resulting in skin laxity. Skin laxity contributes to a hollowed-out appearance and the formation of fine lines and wrinkles. You may be looking for a way to turn back the clock on your skin, or you may simply wish your lips were fuller, or cheekbones were more pronounced. If you are looking for a way to add safe, natural-looking volume to your skin, the Juvederm injectables Collection offers individualized formulas that are capable of addressing your specific skin requirements. 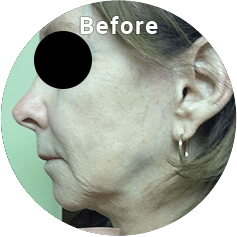 Interested in restoring youthful volume to your face, hands, and neck? Call Skincare by Alyce today to schedule a consultation. 4 How is JUVÉDERM different from Botox? JUVÉDERM Injectable Gel Fillers is a collection of fillers made from hyaluronic acid (HA). What’s interesting about HA is that it’s a natural substance in the skin that both helps the skin retain moisture and softness, as well as adds volume. Due to the fact that Juvederm is composed of this naturally-nourishing ingredient, your skin is more likely to safely accept the injection. The hyaluronic acid will support the skin, as well as encourage healthier skin function. Each product in the JUVÉDERM collection of fillers is made from a modified form of HA. JUVÉDERM is capable of adding subtle volume and filling in the fine lines and wrinkles in your skin and lips, including the backs of your hands. 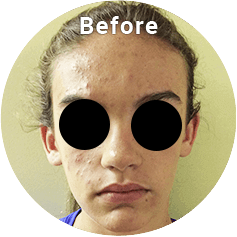 The outcomes achieved with the JUVÉDERM collection can last anywhere from six months to over a year, depending on the patient and the chosen injection plan. Help the skin retain moisture and softness, and add volume. Look more youthful. JUVÉDERM can erase the signs of aging from your skin by smoothing your fine lines and wrinkles. It can restore healthy volume to the treated area, returning your skin to a younger appearance. Immediately achieve results. Your skin will immediately look smoother and healthier. As the injection settles, and swelling subsides, you will see your final results. This should take around seven to ten days. Subtly re-contour your appearance. If you would like to see more volume or balance in your lips or cheeks, for example, a JUVÉDERM injection allows controlled, natural-looking augmentation. Achieve long-lasting results. The outcomes of your JUVÉDERM treatment can last from six months to two years, depending on the injection site and the particular patient. JUVÉDERM VOLUMA XC is an injectable gel for deep injection in the cheek area to correct age-related volume loss in adults over 21. JUVÉDERM VOLUMA XC instantly adds volume to create a more youthful appearance for up to 2 years with optimal treatment. JUVÉDERM Ultra XC is for injection into the lips and perioral area for lip augmentation in adults over 21. JUVÉDERM Ultra XC adds fullness to the lips for up to 1 year with optimal treatment. JUVÉDERM VOLLURE XC softens moderate to severe facial lines and wrinkles to create a smoother appearance. JUVÉDERM VOLLURE XC uses VYCROSS technology to soften moderate to severe facial lines and wrinkles for up to 18 months with optimal treatment. JUVÉDERM VOLBELLA XC adds subtle volume to lips and smooths and softens the appearance of vertical lip lines. How is JUVÉDERM different from Botox? Although both treatments are injectable and can reduce the appearance of wrinkles, the way they create change is different. Botox weakens the muscles responsible for frowning and squinting, smoothing even deep frown lines. Quite differently, dermal fillers are injected to replace lost fat and volume in the face, creating more definition and filling the skin out, naturally reducing the appearance of fine lines and wrinkles.JUVÉDERM injections are designed to not interfere with the natural motion or appearance of your features. If a wrinkle is caused by overactive muscle firing, Botox will be a good skin-smoothing solution. If a line or wrinkle is already set, however, or “static,” JUVÉDERM is an ideal treatment. Patients who are 21 and over and are noticing signs of aging in their skin may be candidates for the benefits of JUVÉDERM. 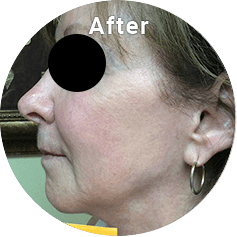 If you see a loss of volume in your skin, and/or the development of lines and wrinkles such as marionette lines and nasolabial folds, JUVÉDERM can restore you to a more full, youthful appearance. JUVÉDERM is also a good choice for clients who want to increase the volume in their cheeks, or subtly fill and smooth their lips and the surrounding skin. While JUVÉDERM is an excellent skin-smoothing solution for most clients, a wide variety of factors can influence our skin’s health. If you have severe wrinkles which are deeper set, JUVÉDERM may not be able to achieve your ideal results. These clients may need to turn to a more involved or invasive option for restoring their skin. JUVÉDERM can additionally promote long-term skin health and prevent the formation of wrinkles. Clients who are interested in slowing their skin from aging further are advised to balance a healthy lifestyle and diet with strategic JUVÉDERM injections. 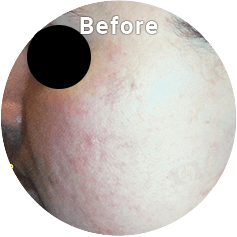 Clients can create a long-term treatment plan with Alyce, in order to maintain the skin-smoothing results that many men and women already enjoy, and their results are so subtle, they look healthier, and not like they’ve had any work done! To learn more about what the JUVÉDERM Collection can accomplish for you, call the friendly team at SkinCare by Alyce to schedule a private consultation! Alyce understands that for skin to look healthy and youthful, it needs to be cared for, both topically and from within. When you schedule a consultation with Alyce, she will make sure that she familiarizes herself with your unique skin needs, as well as gain an intimate understanding of your goals for your appearance. You will be asked to share information regarding your medical history, medication use, and overall lifestyle habits. This will help Alyce determine a skin treatment plan that is exactly right for you. Alyce is also happy to answer any questions that you have at this time! If you have a pre-existing medical condition that could interfere with your ability to heal, or are prone to severe allergic reactions, notify Alyce and her team at this time. The team at Skin Care by Alyce wants every client to have the most beneficial experience possible. After Alyce has familiarized herself with your skin and your goals for a skin rejuvenation treatment, she will recommend a JUVÉDERM injection plan that will achieve your best-individualized results. If she believes a client will benefit from an alternate skin treatment, she will share her professional suggestions with them. To learn more about how you can achieve youth-restoring fullness and reduce your fine lines and wrinkles, call Skin Care by Alyce today to schedule your initial consultation. Depending on the number of areas that you choose to rejuvenate with JUVÉDERM, your injections will be administered in a window of fifteen minutes to an hour. Care will be taken to achieve even, subtle results. You will still look like yourself, but with more youthful and healthier skin! The goal is to create a naturally younger appearance and avoid an “overfilled” effect. Many of the JUVÉDERM formulas include a small amount of lidocaine in order to keep you comfortable during your treatment, but you can also request local anesthetic if you are concerned that you may experience discomfort. 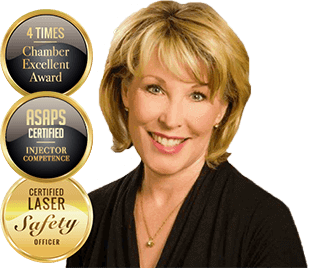 Alyce takes care to make sure every client feels confident in their skin rejuvenation decisions. If you have any questions about JUVÉDERM, we are happy to answer them for you at Skin Care by Alyce. You will be able to return to work the same day as you receive your JUVÉDERM treatment. 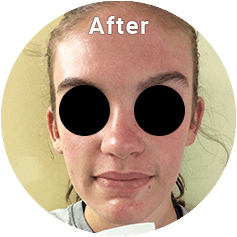 It is not uncommon for patients to experience mild swelling or bruising in their injection site, but these effects will resolve almost completely within three days. Try to limit the amount you touch your treated area during this time. Wear sunscreen and limit your sun exposure, as well as exposure to extreme temperatures. Your skin should be fully healed within two weeks. During this time, avoid using non-steroidal anti-inflammatory drugs. These can increase your likelihood of bruising and interfere with your healing. If you are concerned about experiencing discomfort after your treatment, ask Alyce for recommended solutions. 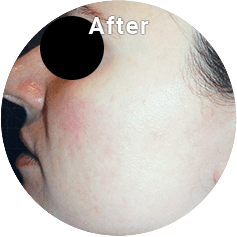 JUVÉDERM is so popular because it achieves subtle but impressive results. This hyaluronic acid filler will restore youthful volume to the desired area. The new volume will fill and smooth your fine lines and wrinkles, helping to take years off your appearance. Your skin will look refreshed and restored, with a more youthful contour thanks to the naturally beneficial hyaluronic acid. Depending on the injection formula you received, your results can last from six months up to two years. If you enjoy the results of your JUVÉDERM, speak to Alyce about creating the right filler treatment plan for you. The price of a JUVÉDERM rejuvenation will depend on the number of areas that the client would like to address, and the number of JUVÉDERM vials that will be required to accomplish ideal results. After you complete a consultation with Alyce, she will create an individualized treatment plan for you. Once the details of your JUVÉDERM treatment are determined, our staff will be able to give you a cost breakdown of your anticipated rejuvenation. The remarkable results of JUVÉDERM are long-lasting and can be achieved in less than an hour. To learn more about how you can naturally restore the health and fullness of your skin, call SkinCare by Alyce today to schedule your consultation!